In 1749, Giacomo Justerini (or Giustarini) from Bologna, fell in love with an opera singer and followed her to London, bringing with him a number of recipes for liqueurs created by his uncle, who was a distiller. He found an English partner, George Johnson, and together they set up as wine merchants. In 1760, Justerini returned to his native land after selling the business to Johnson. That same year, King George III honoured the firm with the first of its eight Royal Warrants. In 1831, the business was bought by Alfred Brooks, a gentleman of means - it was said that his St John's Wood gardens were sufficiently large to include a snipe shoot. The firm became Justerini & Brooks, and its headquarters were established in Regent's Park. Charles Dickens was an early customer. Seeing the potential of blended whisky, J&B was one of the first London spirits merchants to buy up stocks of mature malt whisky and create its own "house" blend. This was named Club (and is still available from J&B's shops in St. James's Street, London and Alva Street, Edinburgh). 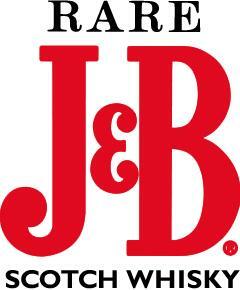 During Prohibition the company was promoting a brand they had created specifically for the American market, J&B Rare, and when Prohibition came to an end in 1933, their activities began to pay dividends in and around New York City. "Reminiscent of honey, herbs, hay. Delicate aromas reveal a subtle, rather gentle style. Smooth entry with a soft, rounded palate showing faint sweet impressions."